The management of the Afe Babalola University, Ado – Ekiti (ABUAD) has announced the date for the 2018/2019 academic session post UTME screening exercise and centres for the screening exercise. According to the management, ABUAD Post-UTME Screening will hold July 7th, 2018. ABUAD Post UTME Screening Centres. Interested applicants can still apply for the ABUAD post UTME before the screening date. 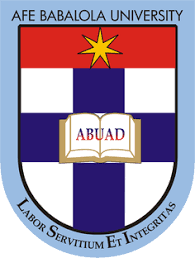 RECOMMENDED: How to Obtain ABUAD Post UTME Form.